Majid Al Futtaim— the leading shopping mall, communities, retail and leisure pioneer across the Middle East, Africa and Asia— announced the final three out winners of grand prize of BD 5,000 in mall gift cards. A total of four lucky winners have now received the generous prize, presented by City Centre Bahrain during its World Cup campaign, ending on July 14 2018. 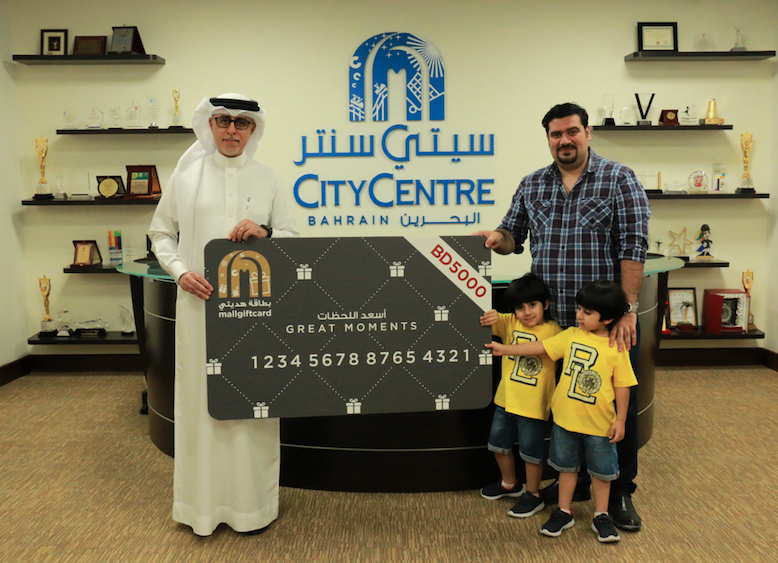 Lucky winners Rana Kameshki, Khulood Abdulla and Theodor Rudiferia won the final of four BD 5,000 mall gift cards up for grabs during City Centre Bahrain’s World Cup campaign, which ended on July 14 2018. Shoppers spending BD 30 or more entered the weekly grand prize draw and participated in the football-themed activity station for a chance to win additional instant rewards.